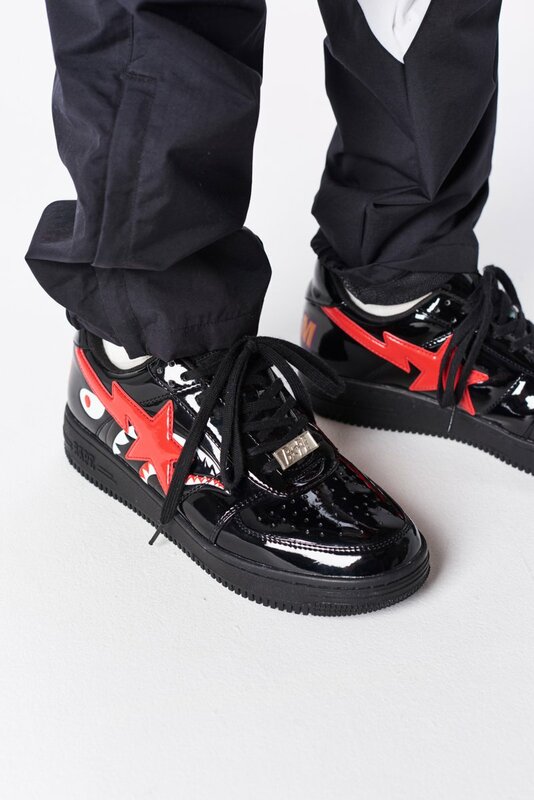 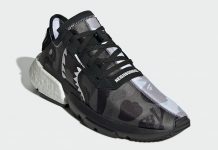 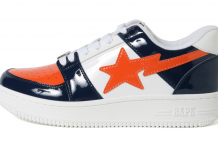 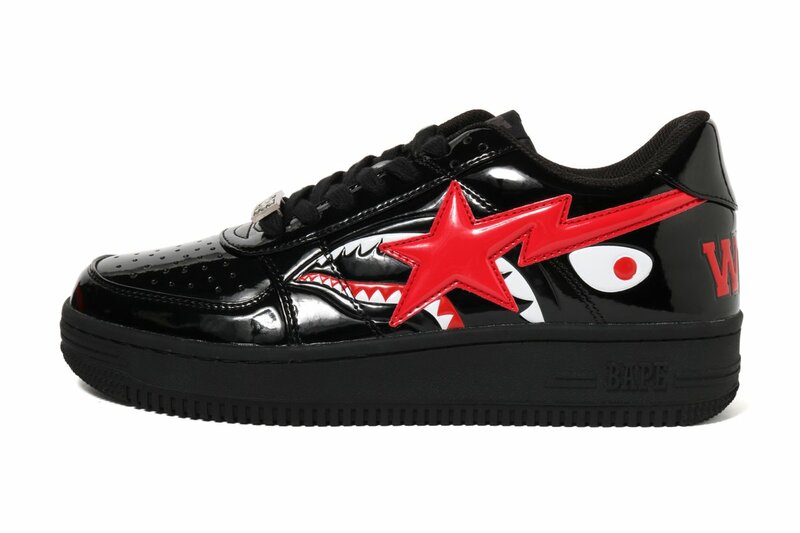 A Bathing Ape updates their classic BAPESTA model by adding the classic Sharkface on the side panels. 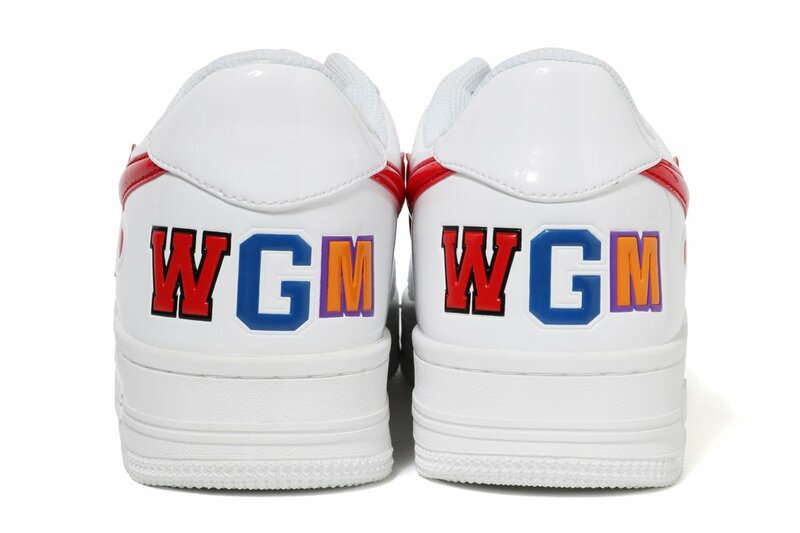 Varsity letters from the hoodie can also be seen on the heel, alongside a patent leather upper and rubber outsole. 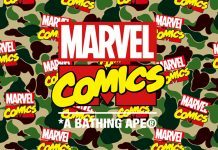 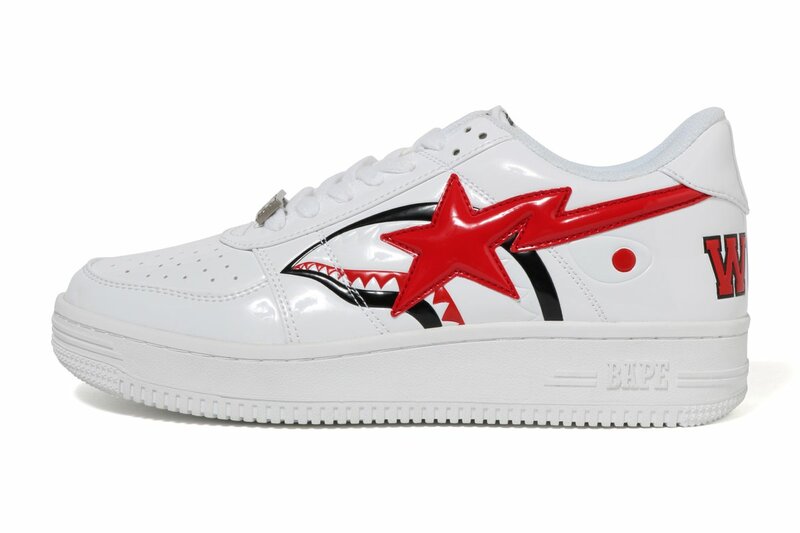 The Bape SHARK BAPESTA™️ LOW will be releasing in White and Black at select BAPE retailers globally, including the U.S on Saturday, January 19 for $193.